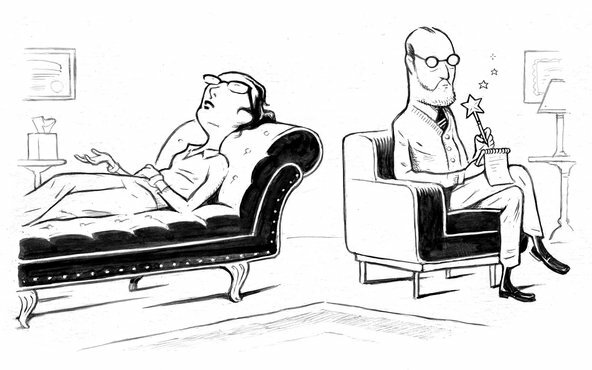 Which Kind Of Therapy Is Right For You? Have you been thinking about going to a therapist? Why? What do you hope to accomplish? What are you waiting for? You may have asked yourself these same questions many times before. If you’ve even pondered the idea, you’re probably right. But going to therapy has a stigma surrounding it, and you don’t know if your needs even qualify. Before you dismiss the notion completely, you should learn more about the process and its benefits. You should also know that therapy is for everyone. What is Therapy and How Do I Know When to Go? · It is based on scientific research. · Only licensed professionals are allowed to practice, who are unbiased and respect confidentiality. · Its objective is to help people develop healthy and productive habits. · It consists of many disciplines and sub-specialties, so therapy can be designed to fit individual needs. During psychotherapy, psychologists assess, monitor, and treat a variety of symptoms to provide clients the tools they need to solve their issues and make healthier choices that lead to fulfillment and productivity. You may be dealing with a difficult choice or feel that you need a new perspective. A psychologist can help with that. You may be having a difficult time coping with a divorce, job loss, or death of a loved one. A psychologist can help with that. You may be suffering from chronic sadness, anger, stress, or anxiety. A psychologist can definitely help with that. Although a psychologist is a mental health professional, he or she can also help with you understand how your emotional and physical health can impact your psychological well being and vice versa. You should consider therapy when any issue you have prevents you from realizing your potential. Whether you’re simply having trouble with concentration or motivation, or the suffering is crippling your entire existence, you should seek professional help. Many people think that the difficulties they’re facing are temporary, that they can pull themselves out of the mental fog by themselves. But it doesn’t take long for a problem to become chronic. Chronic issues are impediments to your personal growth, and without personal growth, you will not resolve the issues. The first step you should take when deciding on therapy is the decision to go. You may have let the idea bounce around in your brain for some time, but your fears, self-doubt, and inability to see your issue as a real problem has prevented you from taking the actual steps. You must get past all of this. Finally going to therapy is in itself an accomplishment. Any sign of recognition and pursuit of assistance is an indication of personal growth. But without the help of a professional, you may be unable to gain the perspective you need to formulate your plan for self-development and healing. Step 1: Find a psychologist. The first step is to find a credible, well-trained, and accountable professional. Psychologists are bound by many ethical codes and their insight is founded in scientific evidence. Since every psychologist has a different specialty, it is important to find someone who can provide you with the individual treatment you require. Ask friends and family for recommendations, ask your physician, contact local university psychology departments and community health services, or visit the websites of state psychological associations. When selecting a service provider, think about your intentions. What do you require: Individual or group therapy? Will you be using insurance and how much out of pocket will it cost? Where are they located and what days are they available? As in any other doctor-patient relationship, it is important to identify whether they work in the field you desire, if they take your insurance, and if they are accepting new patients. Once you have figured out all of the logistics behind payment, schedules, and specialties, take the initiative to pick up the phone and make an appointment. Make sure to take some things into consideration, being that you are unsure what to expect after your first visit and the importance of focusing solely on your improving. Take adequate time off from work (you may not want to return after your appointment), arrange for your children to be with a caregiver, and make sure that your commitments for after the appointment will not interfere with your session. Clear your schedule to clear your mind. First, remember that you are not the professional, so you don’t have to know all the answers, but to help your therapist help you, be prepared with a list of details you would like to discuss. Goals, feelings, and anything you find pertinent should be discussed to give the psychologist an idea of how to treat you. It may be possible that he or she recommend someone else. This is not rejection; it is a professional courtesy and a reflection of their wanting the best for you. Step 4: Be diligent and focused. Continue in your therapy. You will not be “fixed” after a few sessions. Just because you may be feeling better doesn’t mean you have met your goals. You will be done when you and your therapist determine that you are dealing effectively with the overarching problem. Therapy is about building tools to cope. Sometimes problems don’t go away, but you will learn to better manage them. One of the most important things you can do for yourself is to build a support system outside of therapy. Tell your spouse, parents, friends, and other trusted people that you are going to therapy and need their support. Not everyone will want to share this information, but the more you share it (and your need for support), the less secretive you will feel. This will be liberating. People who have strong support systems have shown tremendous gains in terms of healing and creating happier lives. You are not alone, you are taking care of yourself, and you are going to be okay.